French sculptor. 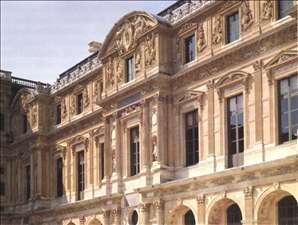 He ranks second only to Germain Pilon as the greatest French sculptor of the 16th century and he created a distinctive Mannerist style as sophisticated as the finest works of painting and decoration of the contemporary School of Fontainebleau. Nothing is known of his early life and he is first recorded in 1540 as the carver of the fine columns supporting the organ loft in the church of S. Maclou at Rouen. 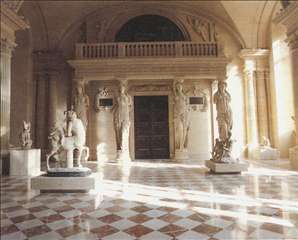 The pure classicism of these columns has caused some critics to assume that he had first-hand knowledge of Italian art. 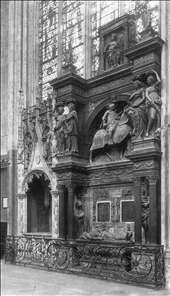 He had moved to Paris by 1544, when he was working on the screen of St. Germain-l Auxerrois, in collaboration with the architect Pierre Lescot. 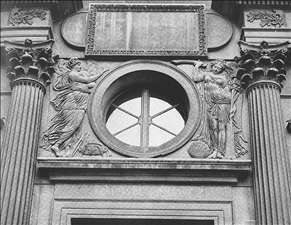 Low-relief panels (now in the Louvre) from this screen show that Goujon had evolved a style of extreme grace and delicacy, owing something to the influence of Benvenuto Cellini. 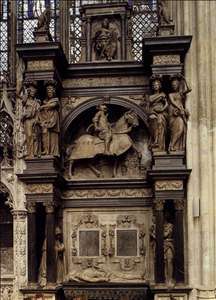 The style is seen at its most mature in his decorations (now in the Louvre) for the Fontaine des Innocents, Paris (1547-49). 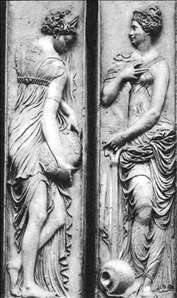 The six relief panels of nymphs from the fountain, with their exquisitely carved rippling draperies, are generally considered his masterpieces. 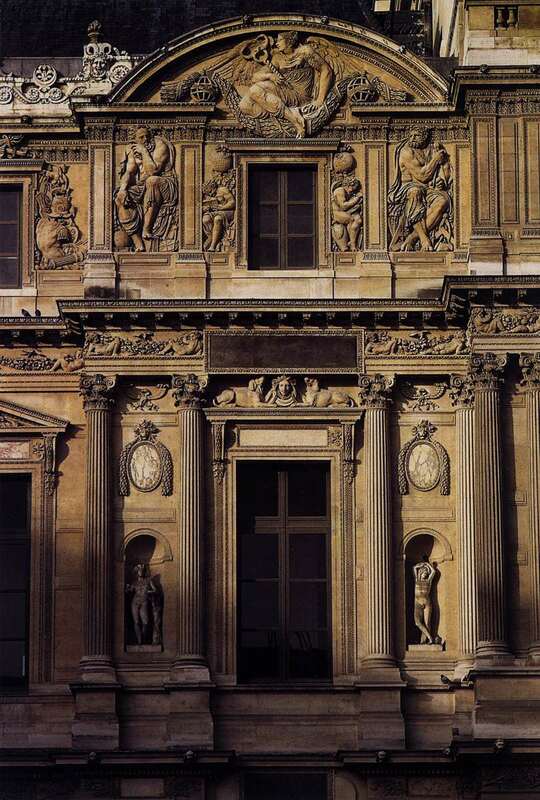 Goujon s most extensive undertaking was on the sculptural decoration of the Louvre; he worked there from 1549 to 1562 in collaboration with Lescot, mainly on decorative panels forming part of the architectural scheme. Unfortunately all Goujon s work there has been heavily restored, including the famous caryatids (1550-51) in the Salle des Caryatides. 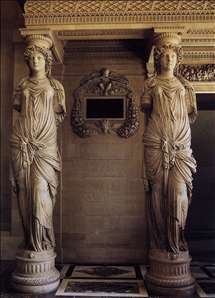 Using caryatids on a monumental scale was a novelty, perhaps inspired by his reading of Vitruvius (he made illustrations for the first French edition of his treatise in 1547). There is no indication of any work executed after 1562 and it is possible that Goujon left France because of religious persecution and died in Bologna (the documentation is ambiguous). See more details about "Nymphs "
See more details about "Naiad"
See more details about "Façade of the Cour Carrée (wing Lescot)"
See more details about "War and Peace"
See more details about "Façade of the Louvre "
See more details about "Monument to Louis de Brézé"
See more details about "Salle des Cariatides"
See more details about "Caryatides"